Girl power at it's best! 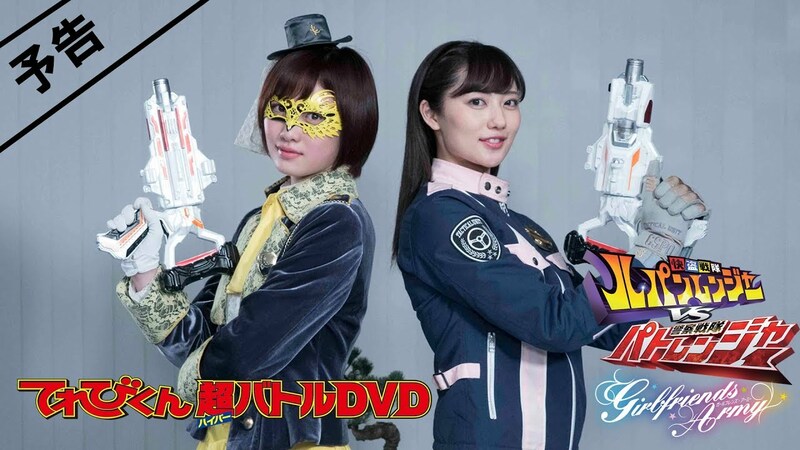 Check-out the official trailer for the first ever all female lead Televi-Kun Super Battle DVD special featuring the Phantom Thieve's Umika/Lupinyellow and Global Police Unit's Tsukasa/Patran-3, Kaito Sentai Lupinranger VS Keisatsu Sentai Patranger Girlfriends Army! The story involves a Gangler falling in love with a girl and Umika and Tsukasa must team-up to save her! Kaito Sentai Lupinranger VS Keisatsu Sentai Patranger Girlfriends Army will be released on June 30th and will come with a special letter written by Umika and Tsukasa.